Ryn Whittaker was a loyal Citadel who had trained for her position since the age of fourteen. She was the head of her own unit--beta team--until she realized all she believed and had been taught from an early age was a lie. After securing her base and debriefing all who work there, she and her fellow Citadel Levi are on a mission which will take them through the multiverse to find Ezra who holds the key to finding out exactly who the Roones are and what they want with Ryn's version of Earth. With the Quantum Operating Interdimensional Navigating System, QOINS for short, synchronized to find Ezra's quantum signature they set off. They know not what dangers they will encounter or how many jumps it will take to find Ezra, but God willing, they should end up in the same place. Hopefully sooner rather than later for time is of the essence. 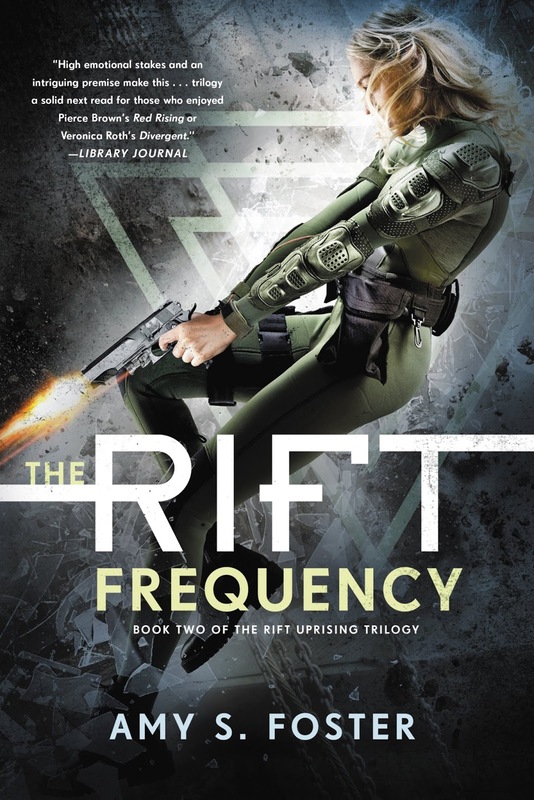 This is the second book of The Rift Uprising Trilogy. In the first book we learned that an experiment into dark matter caused several gateways called Rifts to open around the Earth. Creatures and people crossed over into our world creating the need for the Rifts to be patrolled and guarded. Ryn is a seventeen year old Citadel, one of several groups of children who were medically enhanced to make them into the perfect super soldiers. The enhancements were made with the help of a species known as Roones who passed through one of the Rifts shortly after they opened. Ryn and Levi are attempting to travel through The Rift to find Ezra, whom Levi pushed through the Rift, and get some answers. He holds in his possession a computer with information on it from the Roones which they hope he can decode. They spend the majority of the novel jumping from one version of Earth to another looking for Ezra and information as to who the Roones are. As one would expect along the way they make friends, enemies, and allies. They also start finding answers and learning things that the Roones never wanted them to know. Things they find deeply disturbing. While Ryn begins this adventure disliking Levi, things start to change as she finds herself constantly in situations which require the two to have each other's back. Keeping their distance from one another becomes, at times, impossible as going though The Rift sometimes throws them literally together. This creates dangerous situations for Ryn because of Levi's programming which causes violent reactions when he comes in contact with a person he finds himself attracted to. Overall, I gave this one 4 out of 5 roses. I liked the book, but frankly wish the whole love triangle going on had been toned down a notch. At this point I'm not sure I like either of Ryn's love interests. Maybe one of them will redeem themselves in the next novel? We'll have to wait and see. As for the main story line, it still has me hooked and was highly entertaining. There were plenty of twists, turns, action, and drama. I look forward to seeing what will happen in the next and final book of the trilogy. I'm betting it's going to be something good.